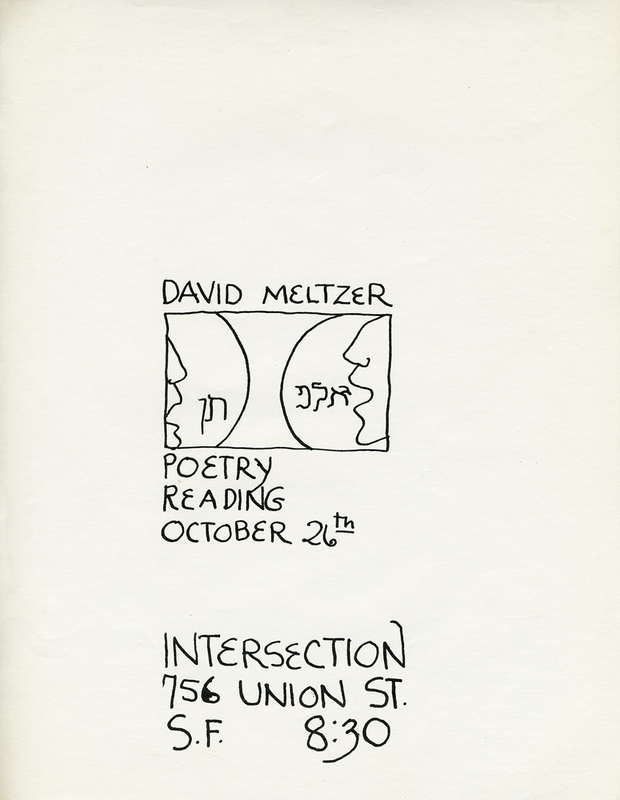 Flyer for a reading by David Meltzer at Intersection for the Arts, San Francisco, October 26, 1971. Intersection’s poetry reading series was coordinated by Lewis Warsh in 1971. 8½ x 11 inches.